Sony is in negotiations with developers and publishers to increase the PSP's digital library. 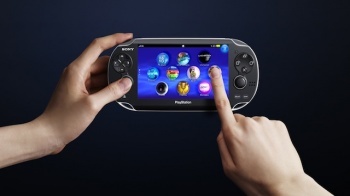 SCE boss Kaz Hirai has confirmed that you will be able to play PSP games on the NGP, just not all of them. The NGP uses a totally different format for physical media than the PSP, so those UMDs aren't going to be much use to you. Any digital titles you might have bought, however, will work just fine. Speaking with Japanese website Impress Watch, Hirai said NGP would run PSP games through software emulation, rather than hardware emulation. The NGP also has a new operating system, which is supposedly games-orientated, but runs more like a computer OS. Obviously, at the moment there are lots of PSP games that people won't be able to play on the NGP, but Hirai said that Sony was negotiating with game makers about getting more games released digitally. Presumably this will be good news for PSP Go owners as well. Backwards compatibly has been a prickly issue for Sony in the past, after it removed it from the PS3. The absence of the feature clearly isn't a deal breaker - the PS3 continued to sell, after all - but all the same, being able to play older games, as well as new ones, is always going to be a point in a console's favor. The NGP is scheduled for release in winter this year.